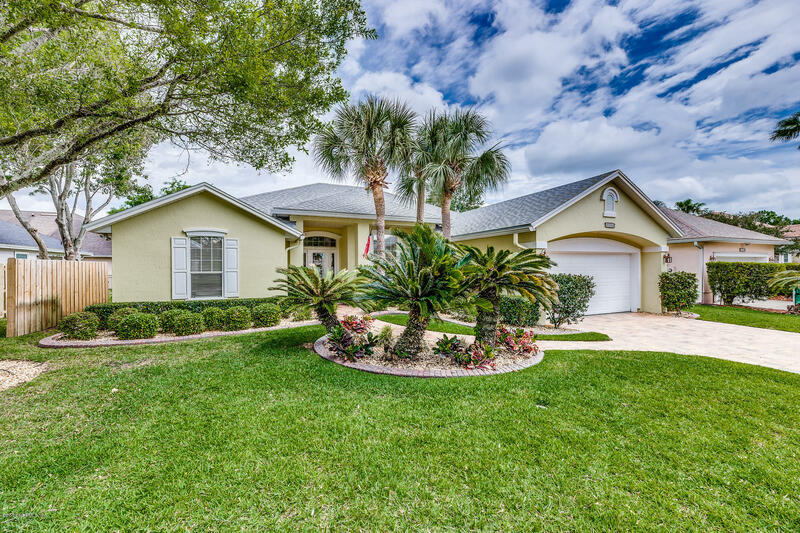 Immaculately maintained home in beautiful Ocean Cay community. One of the few 65 ft.-wide lots in Ocean Cay, with a gorgeous lake view, Large, fenced back yard, wood burning fireplace, pavers in driveway, walkway, front and back porches; includes 6 person hot tub, 7,500 watt generator wired to house, hurricane panels, deep irrigation well and pump, and other extras. Split floor plan with generously sized bedrooms. Two safes bolted to foundation, granite counter tops and so much more. Enjoy the short walk to the beach for sunrise each morning.